Feeling dehydrated? Then stop by one of our numerous vending machines stocked providing an assortment of ice cold beverages to quench that thirst including water, juices and carbonated drinks. 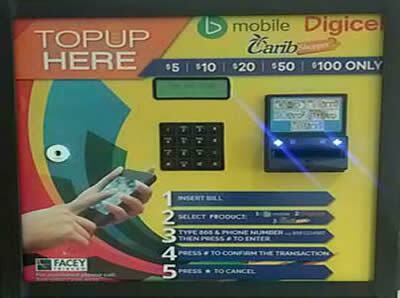 For all your Bmobile and Digicel phone cards, visit the Caribbean Nectars Top-Up machines located ground floor, The Teaching and Learning Centre and Lloyd Braithwaite Building.